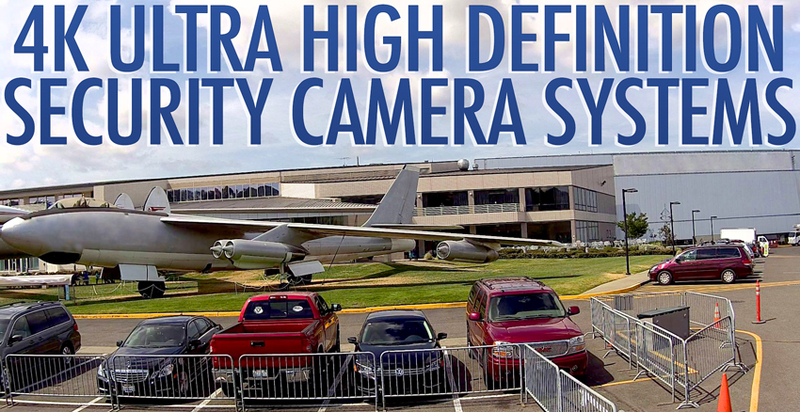 Techpro Security Products is now carrying some of the highest resolution CCTV Security Camera Systems available. We are now bringing in products in the 4K series like of IP Network security systems. They feature 4K real-time live viewing (at 30 frames per second) with camera resolutions available at upwards of 8 and 12 megapixels. This type of surveillance system is going to be best for covering large areas where you need to be able to identify objects much further away. 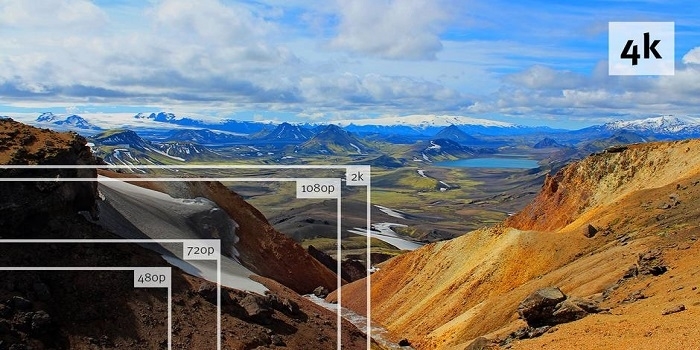 Imagine being able to have 30 images taken at 12 megapixels for every second. That’s more than enough to identify a situation caught on camera. All you need is one good frame of someone in order to identify him or her. Setting up a 4K system will also give you the options to have a wider angle of viewing along with many extra points of focus and even the ability to zoom in and focus on minute details without it getting all pixelated and ruining the image. The last thing you need is to try and identify someone only to be failed by a security camera system that wont allow you to make out details that are important to protecting your home or products. If you own a home or facility where it’s extremely important to be able to zoom in on footage, 4K may just be the right type of system for you. Zooming in digitally wont cause the footage to be really distorted like it is on a lower res system. You’ll be able to tell the difference between someone just playing around or capturing an incident that will require you to be able to identify a subject for the law. Some industries that may really benefit from these types of systems are Hotels, Restaurants, Super Markets, Marijuana grow Operations and Dispensaries, Schools, Universities or Colleges, Retail Stores, and government owned operations like busses and train stations. Being able to identify someone with CCTV is becoming increasingly more important in helping to not only solve a crime, but deterring it as well. When people know you’re recording them in high resolution, there’s a bigger chance they’ll think twice and decide to stop themselves before committing a crime. Our line of 4K surveillance products now includes 4K products that come in 8, 16, 64 Channel Recorders and both Dome & Bullet style housings for our cameras. The 4K Ultra HD NVRs can record as many cameras as channels available so if you have an 8Ch 4K NVR you will be able to record up to 8 Cameras at 4K resolution. Be sure to choose cameras that are also capable of outputting video at 4K Resolution otherwise you’re going to end up having to record at a lower resolution which could defeat the whole purpose of having a 4K system. Basically, if you have a 1080p network IP video camera you’re going to be stuck recording footage at 1080p resolution, however, you will have the ability to later upgrade it to a 4K camera if money is tight at the moment. The detail that these NVRs can capture at 4K are amazing. These NVRs come equipped with Super Dual Core Processors which run on the Linux Operating system. This will make it much harder for anyone to gain access to your devices. We have yet to hear about an instance where a customer complained about being hacked. The Graphical User Interface (GUI) makes it very easy to change your settings and configure your recorder. You’ll be able to connect to them remotely for free in order to view the footage from wherever you are as long as you have a live internet connection to use in the location of the NVR and the location you’re trying to connect from. So if you’re out on a business trip, you’ll be able to pull out your mobile devices to check on your home or business. The added bonus of being able to install microphones will also allow you to listen to what’s going on in each channel you are able to set up a mic for. Having speakers in that location would also give you the ability to utilize 2-way communication. Just imagine a mail man coming up to your door and you asking them to leave the package in your garage. But OH NO! Your Garage door is closed! What can you do?! Actually, We have a solution for that too! You can use relays in order to trigger an open command to your garage door motor while you’re anywhere in the world! Once they drop off the package you can simply close the door so it’s safer than leaving it sitting outside for someone to steal. You’ll also be able to do many other cool things with these systems that you may not have the ability to do with other brands.